And how could playing with colour give us wearable solar panels? This last question is at the core of research being undertaken by Dr Wallace Wong, of the University of Melbourne’s Bio21 Institute and School of Chemistry. As well as working on fascinating science that combines chemistry, physics, engineering and even some agriculture, the carbon-solar researchers of Dr Wong’s lab are inspired by a renewable energy future. But first, to grasp where they are going, you must understand a little more about the science of colour. You could think of an object’s colour as the light it rejects. When objects appear to have a particular colour it’s because they are absorbing all the other colours of the visible spectrum, while one colour is being reflected. 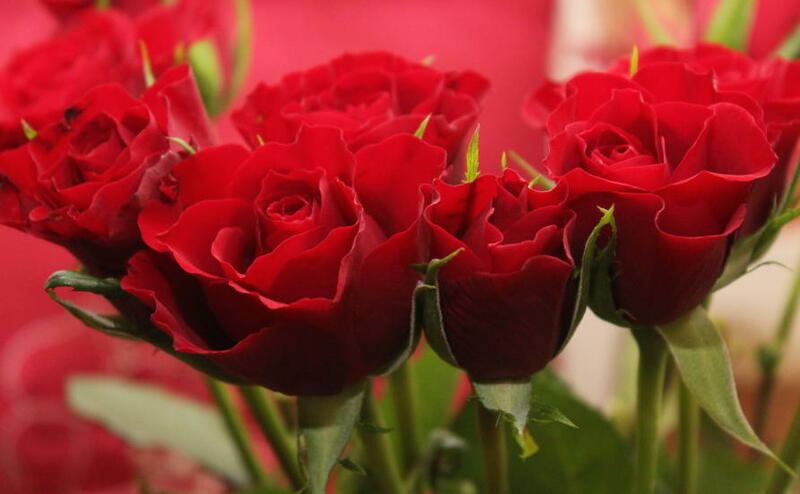 For example, the petals of a rose appear red because they absorb most of the blue light of the visible spectrum, and much of the green and yellow too. What’s left to reflect back at us is dominated by the remaining reddish part of the spectrum. Our perception of colour is, then, the rather clever result of our eyes and brains interpreting various combinations of those reflected colours. Exactly which colours an object absorbs depends on all the complex molecules that make up its surface – in particular on the electrons and atomic bonds within those molecules. To understand that, you need to know what colour really is. Light is a wave and ‘colour’ is merely the frequency of that wave. Each light frequency (that is, each colour) carries a particular energy, and if that energy is precisely the right amount to knock an electron from one state to another within a molecule, that frequency will be absorbed. The ‘natural frequencies’ of the myriad organic molecules that make up a rose petal correspond with frequencies of light that are – mostly – blue through yellow. The Sun emits light of every possible frequency at once, including at frequencies too high or too low for us to see. But the Sun’s highest intensity radiation aligns approximately with our visible range – red through blue. That’s no coincidence – like all animals on Earth, we have evolved to make best use of the light available. Dr Wallace Wong is working towards cheaper and more robust printable solar cells. Picture: Supplied. These days, we can also design materials to ‘target’ particular frequencies of light. For example, the silicon-based materials of a photovoltaic solar cell are tweaked to absorb the most intense frequencies in sunlight. The electrons knocked loose by that light are harvested as an electric current. 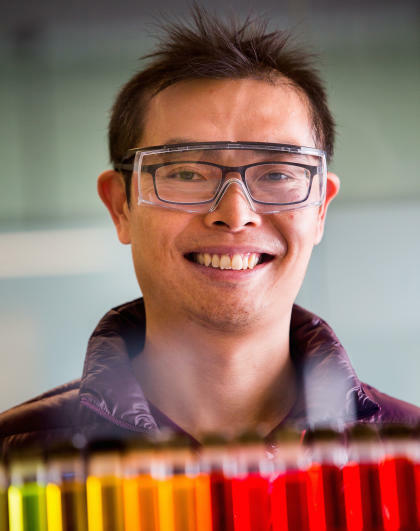 While silicon-based materials have dominated solar-cell technology since the 1970s, Dr Wong is working on alternative carbon-based materials that have the potential to allow cheaper, flexible, robust, printable solar panels. The biggest challenge, Dr Wong explains, is efficiency. Currently, carbon-based solar cells struggle to exceed 12 per cent efficiency, significantly lagging behind the 17 per cent of commercially available silicon cells. One technique his laboratory is using to increase efficiency is to harvest power from a wider range of frequencies. By adjusting the chemical properties of the light-absorbing material, the researchers can adjust the amount of energy required to boost electrons from one state to another. When they do that, they force the material to absorb another frequency of light, ie another colour. “The more frequencies these materials absorb, the more electricity they can produce,” explains Dr Wong. The ultimate aim is to absorb colours right across the high-intensity, visible part of sunlight’s spectrum and a little way beyond, into ultraviolet. So why bother? 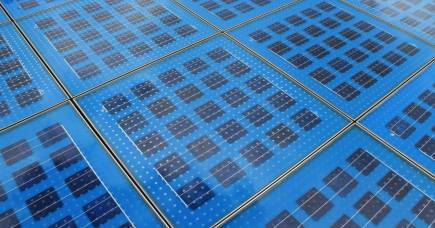 What are the advantages of carbon-based solar cells over silicon? 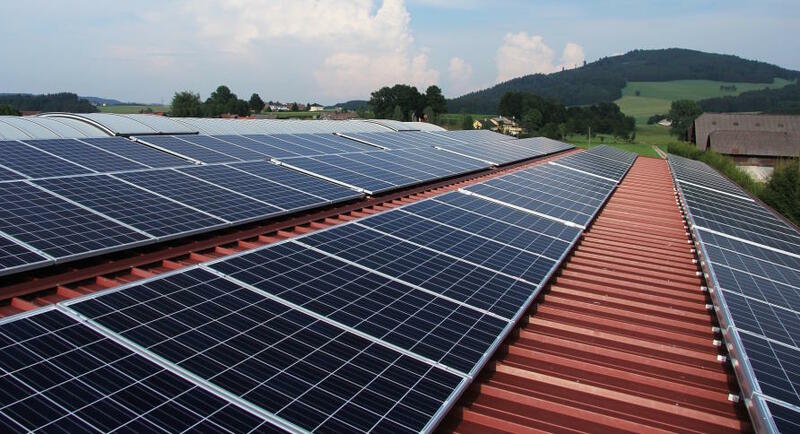 One advantages of rooftop solar is decentralisation of electricity generation. Transmission infrastructure – mostly poles and wires – must be built to manage peaks, and transmitting electricity is costly. And it’s wasteful too – about 10 per cent of Australia’s electricity is lost in transmission. The more power that can be generated close to where it’s used, the more those costs can be reduced. Dr Wong says the carbon-based technology promises vastly more options for decentralised solar power generation. Carbon-based solar cells could also be built into or painted onto structures, so that our buildings could incorporate structures that generate power, supplementing or replacing the heavy, rigid, silicon-based solar panels on the roof.